I'm popping in today to share one of my cards published in Paper Crafts "Card Ideas for Paper Crafters". I LOVE this issue (and not just because I have 4 cards in it). ;) It really is fun to see how 4 different people approached one particular sketch. This issue is packed full of amazing cards and I'm sure I'll be referring to it often for ideas. 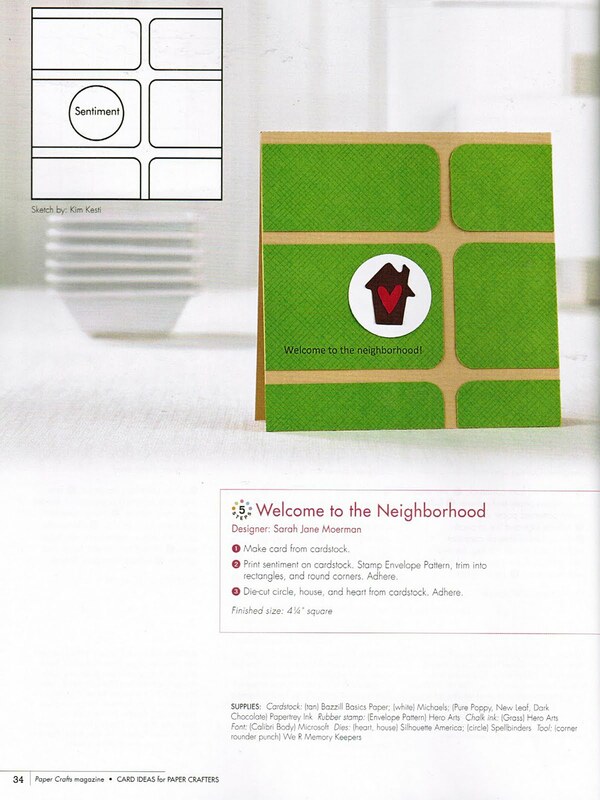 I hope you'll pick up this special Paper Crafts issue. It really is FABULOUS! Thanks for dropping by! I hope you're all having a great weekend! How can you 'Resist' Lily Pad Cards? For my card I used the Springtime Silhouettes stamp set by Gina K. Designs, Out of Print patterned paper by Basic Grey, and Bloomers ribbon by Webster's Pages. 1. 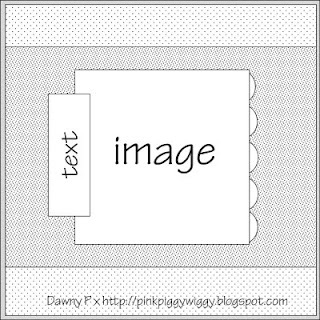 Make notecard from cardstock. 2. 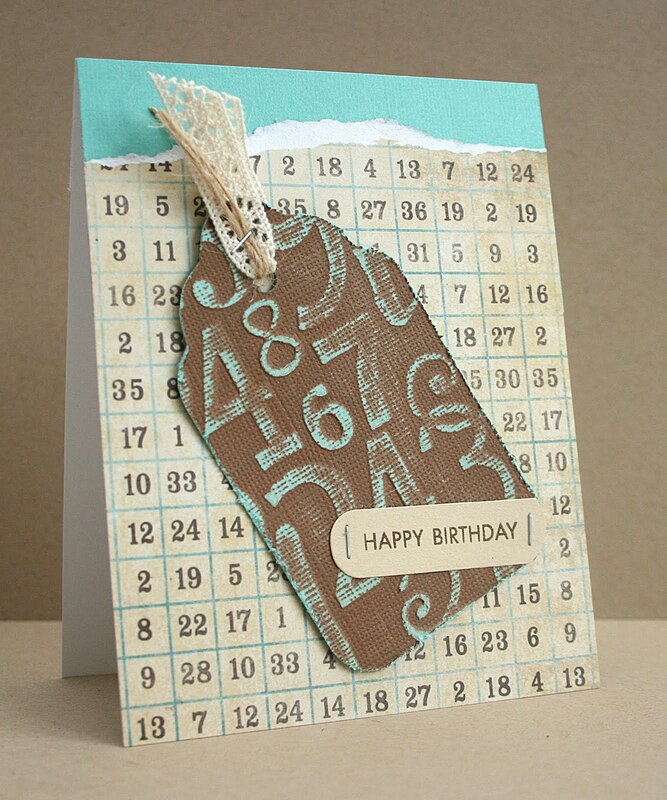 Cut patterned paper to size and distress edges with distresser. 3. 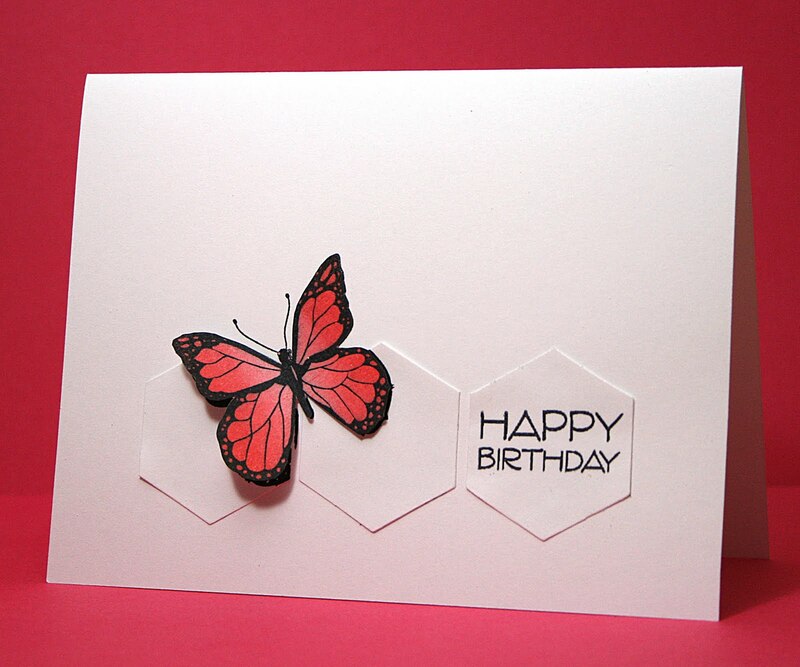 Clear emboss butterfly image at top and stamp sentiment at bottom. 4. 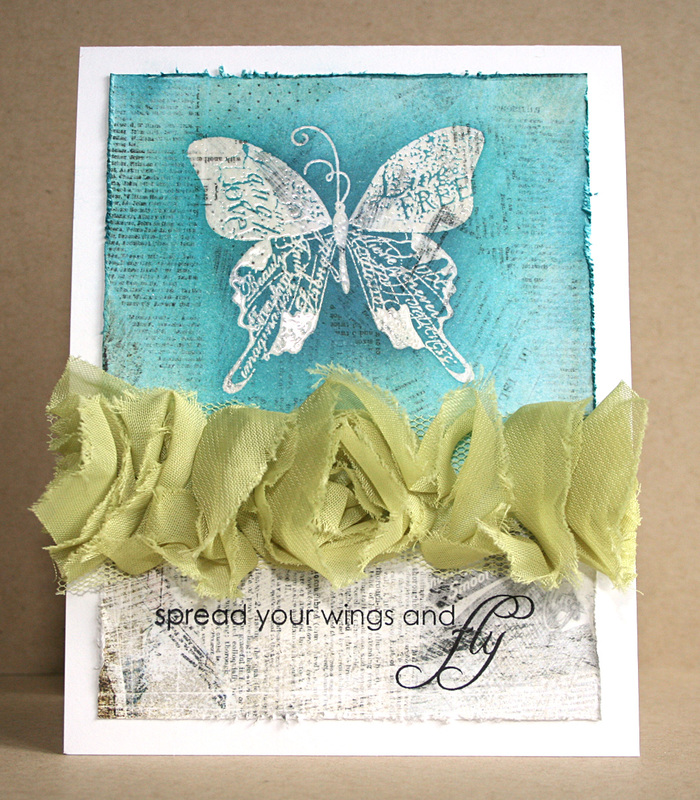 Using distress inks and ink blending tool apply color over butterfly image. 5. Adhere panel to card and embellish with ribbon. I can't wait to see what the other designers have come up with over at Lily Pad Cards! Hop on over to take a look and get all the challenge details. I only have one Lawn Fawn stamp set... so far. ;) I really wanted to use it for this challenge and so I had to get extra creative with it and use other elements with the sentiment from the set to make it work. 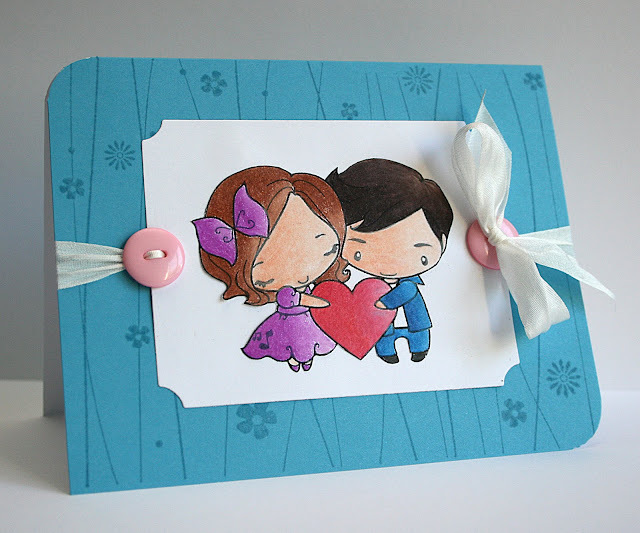 For more details on what I used to make this card (and to see what the other designers came up with) head over to the Lily Pad Cards blog. There you'll find all the challenge (and prize) details. 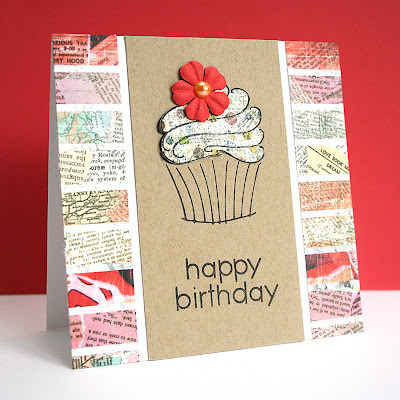 I'm back with another card for the Simon Says Stamp! Challenge Blog. I'm having so much fun playing along with the challenges this month. You should join us. 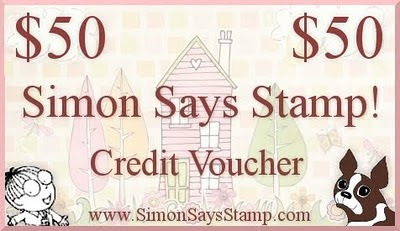 :) This week's theme is Food and/or Drinks and once again there's a wonderful prize up for grabs! Can't go wrong with cupcakes, right? Big congrats!!! Please email me (at the side bar) with your name and email info so I can pass it on and get you all set up. For those of you who missed the class the first time, remember it's not too late. All the information can be found here. I used canvas to cover the entire card front and also for the flower and leaves. For full instructions check out the September/ October 2011 issue of Paper Crafts. 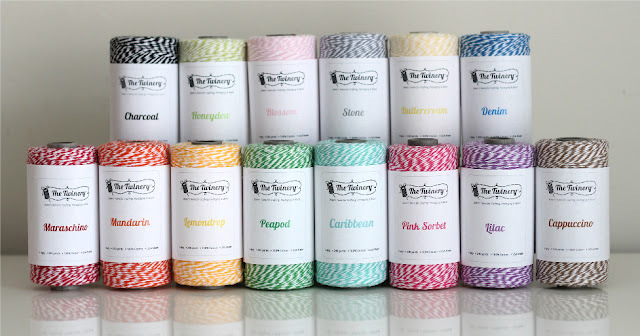 TONS of great projects in here!!! Hope you're all having a great week. 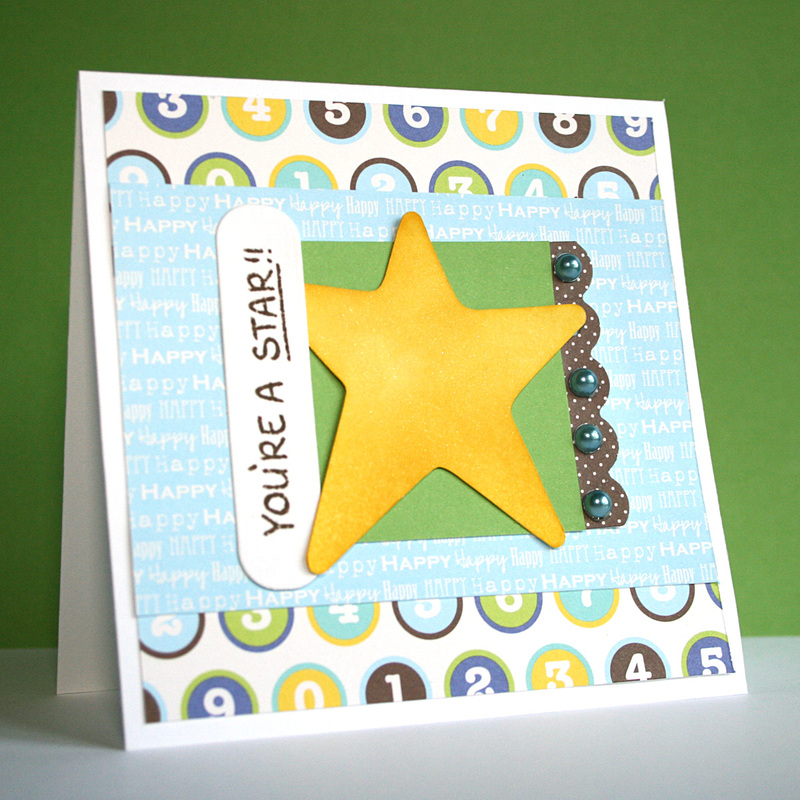 I'm back today to share a card for this week's Lily Pad Cards challenge. This week's challenge is to use felt and/or fabric on your card and is sponsored by Frog's Whiskers Ink. The good folks over at Frog's Whiskers Ink sent the design team members a couple of stamps to work with. 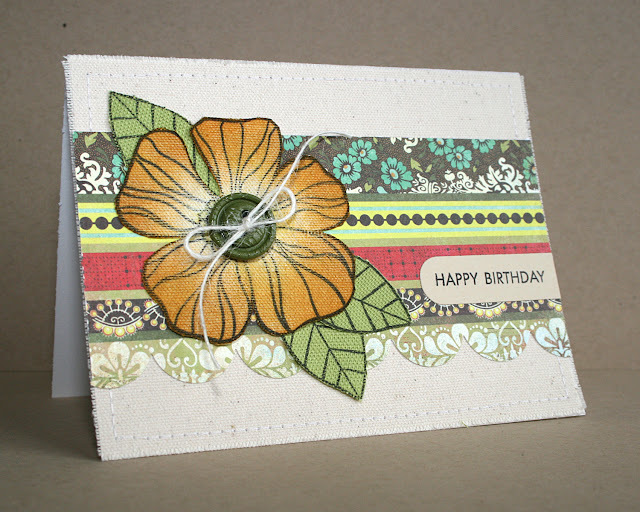 I used Sunflower Single Solid (F807) and Single Sunflower (D635) for my card. I stamped the Single Sunflower stamp on white Sticky Back Canvas to create my background. 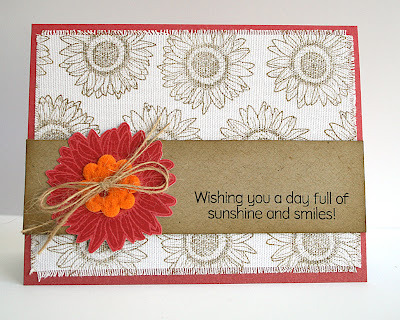 I stamped the Sunflower Single Solid stamp on some pink paper for a tone-on-tone effect, embellishing it with a felt flower button and some twine. 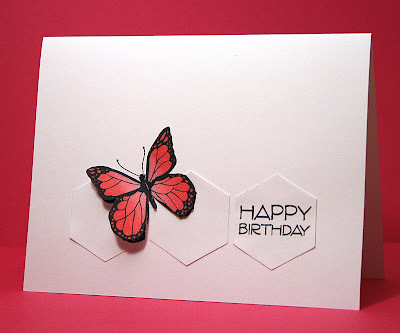 Now, head on over to the Lily Pad Cards blog to see what fabulous projects the other designers have come up with and to get all the challenge (and prize) details. 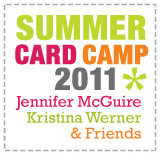 Jennifer and Kristina have decided to open registration to Summer Card Camp as a read/watch-only class for anyone who missed it. 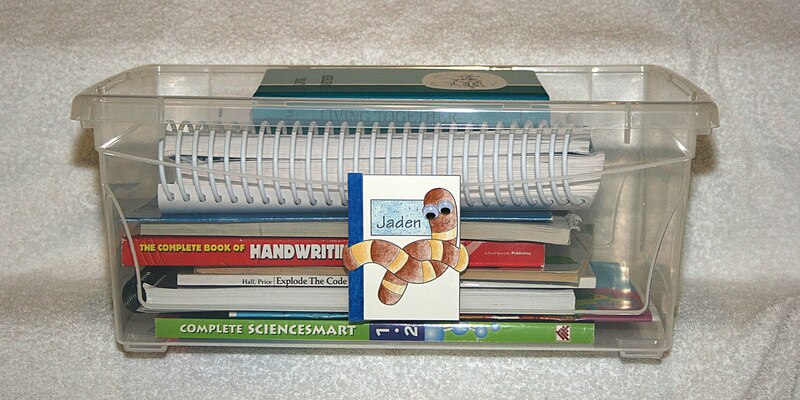 The price is slightly reduced, but students can go in and see, read and watch everything (including my card). ;) All the information can be found here. I'm back with this month's Lily Pad Colour Challenge. 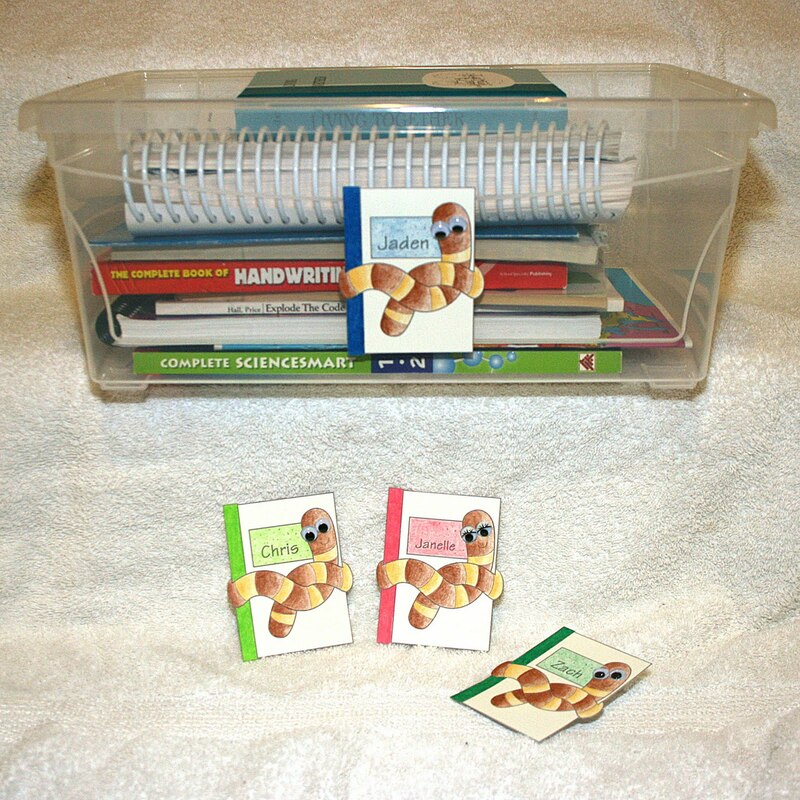 Our sponsor this week is Whimsie Doodles. They sent the design team a bunch of adorable images to choose from for this week's challenge. 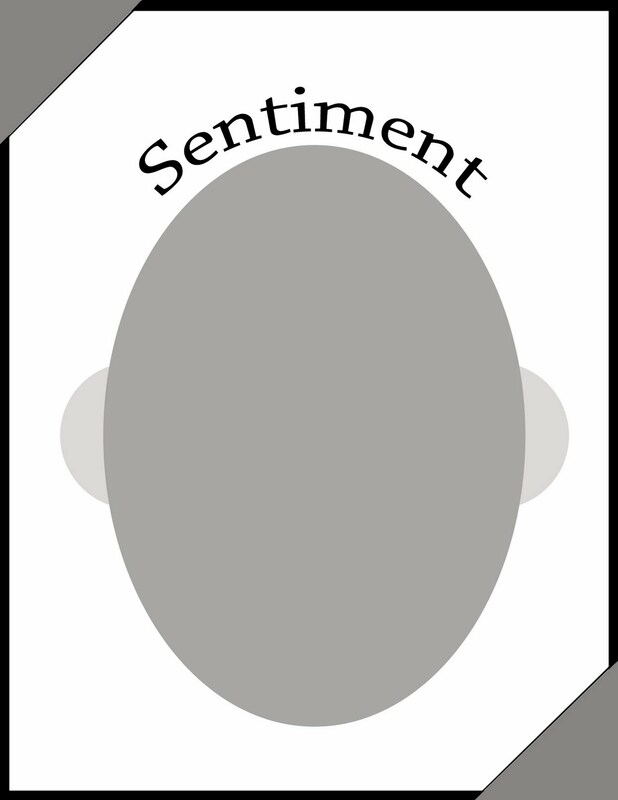 This week I decided to rebel and not make a card. ;) When I saw the cute worm around the notebook I knew I wanted to use it to label the containers I'll be keeping my kids' individual workbooks, etc in for our homeschool. 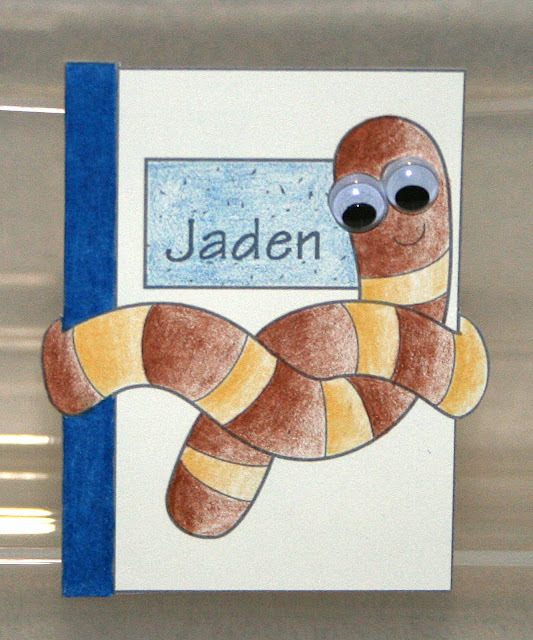 I used the Lily Pad colour combo for Jaden's label and did the other kids' in their requested colours. I used Prismacolor pencil crayons for all my colouring. Thanks so much for dropping in. 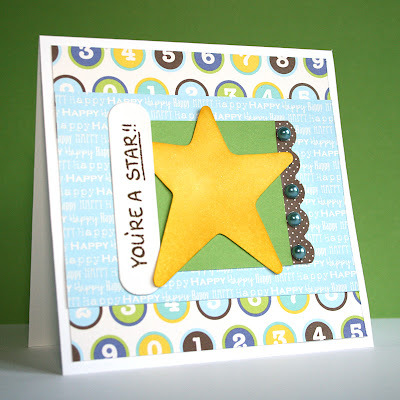 Please head over to the Lily Pad Cards blog to see what the other designers came up with and get the challenge details. I cut a piece of Eggshell Layering paper slightly smaller than the notecard. I stamped it with the Envelop Pattern using the Shadow ink and distressed the edges with Frayed Burlap Distress Ink. 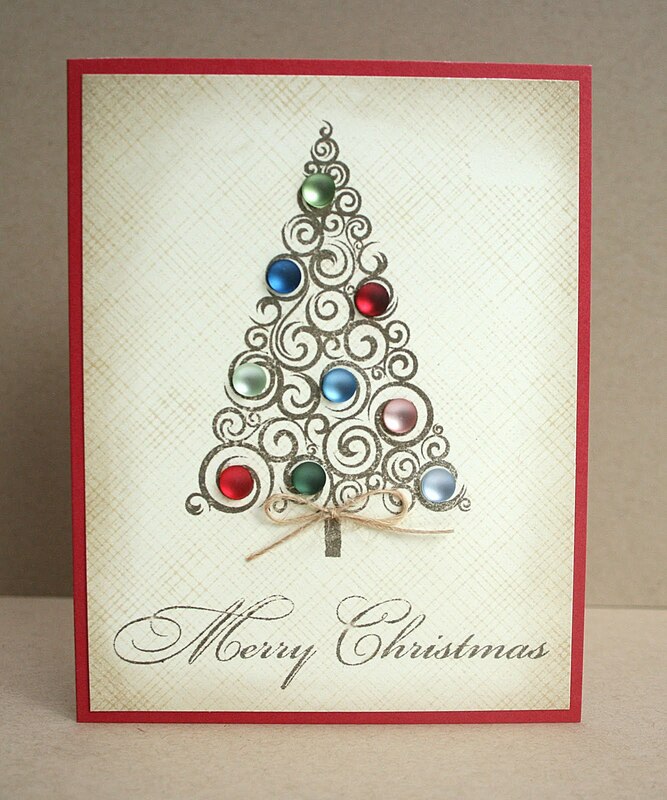 I stamped the tree and sentiment using Walnut Stain ink and embellished the tree with various Dots from Hero Arts. A small twine bow at the base of the tree and it's done.